Leonard Cohen's obscure track from his 1984 album Various Positions was a slow burn. For the first ten years it languished, but 'Hallelujah' went on to be a global anthem. 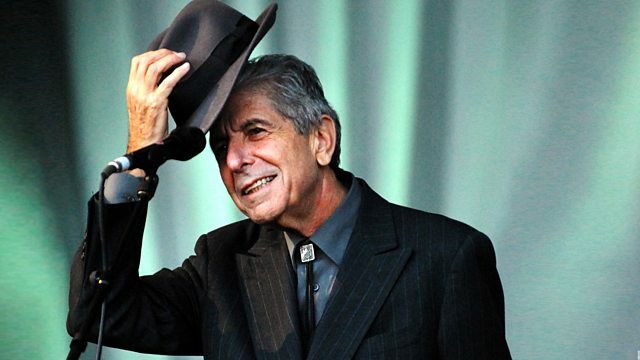 Leonard Cohen's 'Hallelujah' took him years to write. It originally had as many as 80 verses. Recorded for his 'Various Positions' album, it was almost ignored when first released in 1984. Only Bob Dylan saw its true worth and would play it live. John Cale eventually recorded a version which was heard by an obscure musician called Jeff Buckley. The song has been covered by hundreds of artists including Rufus Wainwright, K.D.Lang and Alexandra Burke. We hear from those whose relationship with the song is deep and profound: singer Brandi Carlisle listened to it over and over again as a troubled teenager; it became a sound-track to James Talerico falling in love and Jim Kullander made a connection with the song after the death of his wife. A selection of interviews and reflections on the songwriting of Leonard Cohen. A selection of performances, interviews and reflections on Leonard Cohen at the BBC. Stories of heartache and inspiration behind music pieces and performers.